John Jones has been studying and teaching the philosophy of the Vedic Scriptures for over thirty years and has a unique approach arising out of deep personal experience. In this webinar, john tackled the main topic that is covered in the Bhagavad Gita, namely the understanding of the transitory nature of our fears and perceptions. As this webinar time has passed, you can still watch the recording by registering in the same way. This webinar is a real tour de force of Vedic philosophy that will really help you to understand appreciate how our perceptions change our reality and what we can do about it. Sanskrit is the ancient language of the Gita. Learn how to chant some of the verses and feel their deep healing vibration. Understand the psycho-spiritual background to the Gita, including the symbolism and meaning of the characters and how they relate to us. Hear some of the magical stories that bring the Gita to life and give meaning to this timeless classical text. The Bhagavad Gita has a message for all of us. In it's seven hundred verses you will find the answers to the big issues that face all of us, even in this fast moving and modern society. What is it that stops us from being our true self? What is the message that has brought comfort to millions of people over thousands of years? What is the inner attitude of Sthita Prajna that bestows real inner strength and joy, and was the greatest refuge of Mahatma Gandhi throughout his life? Experience chanting some of the verses of the Gita in the ancient language of Sanskrit. Learn about the secrets of action that lead to real inner success. 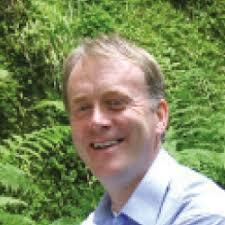 John Jones is an author, homeopath, and a Senior Director of the International School of Dru Yoga. Renowned for his warm personality and profound wisdom, John has led workshops in more than 40 countries, including the post-war zones of the North Caucasus, Bosnia, and Northern Ireland. With a background including detraumatisation and stress management, John has worked extensively as a health consultant in both the private and public sectors, including the Red Cross and United Nations. When not touring, John directs the Dru finance and legal sections in Dru UK. And while on tour his remarkable knack of quickly and effectively helping his students and clients discover potent new ways forward mean that he is in wide demand on three continents. John Jones is an author, international speaker and a Senior Director of the International School of Dru Yoga.